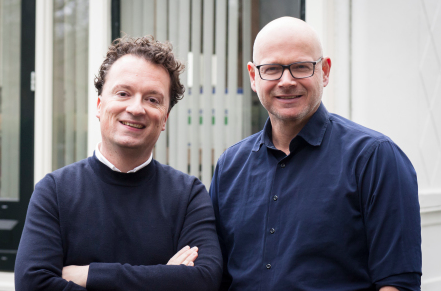 US studio MGM has set up a Dutch-based formats development operations with European programming execs Roy Aalderink and Peter Lubbers. The creation of Concept Street comes after MGM scored a coproduction pact with Redseven Entertainment in Germany last November to create local shows and remake MGM formats. The new Dutch company will have a similar focus on development of local formats. It also gets access to MGM library shows such as Steve Harvey format Funderdome, reno series Renovations, music-themed Signed and social experiment series Maried 10. Aaldernick and Lubbers (pictured above, left to right) will be co-managing directors, and have an equity stake. They will work with MGM’s Burnett on production and president of worldwide television distribution and acquisitions on sales. The Dutch execs have long history together, with Lubbers replacing Aalderink as CEO of Zodiak Nederlands (now part of Banijay Group) in March 2013. Lubbers later moved to become director of television at broadcaster SBS, by which point Aalderink had moved to Strix Television. Further back, he has worked as director of programmes at RTL7, and held roles as Endemol. Aalderink created and sold formats such as My Last Words, Save My Holiday and Jo Frost: Nanny on Tour. “This is a tremendous opportunity to expand MGM’s IP portfolio internationally, by joining MGM’s development and distribution resources with Roy and Peter’s ability to sell and produce quality content in Benelux,” said Ottinger. The news comes on the same day film and TV studio MGM named Chris Brearton as its COO.